I don’t know what it is, but I just can’t get enough of this Sweet Sorbet DSP. I love the colour scheme and find it so refreshing, maybe these colours remind me of gelati, yummy! 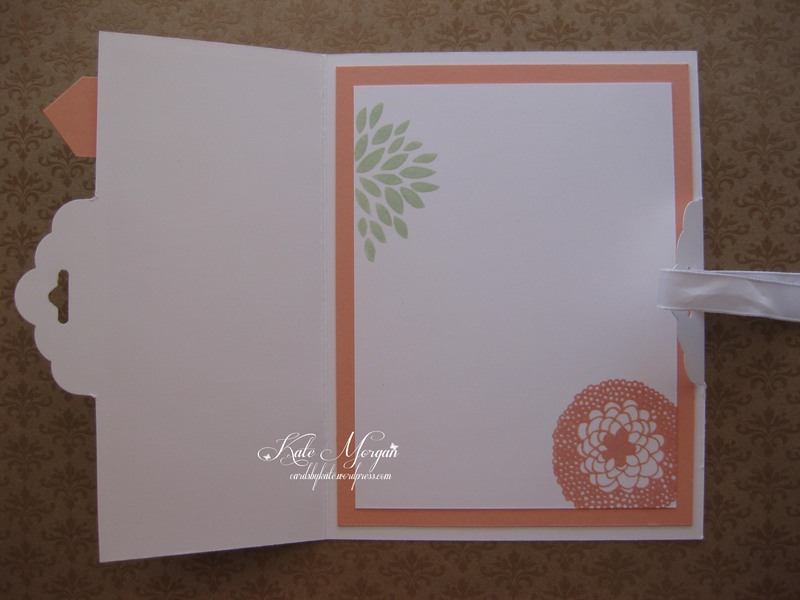 For the card base, I started with a piece of Whisper White cardstock measuring 5-3/8″ x 4-1/8″. Measure and mark the centre along the shorter side. Flip the card and repeat. 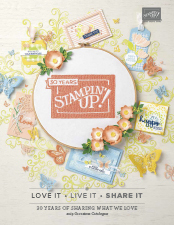 Shimmy it into the Scallop Tag Topper punch (#133324) and line up the mark with the centre of the scallop punch. 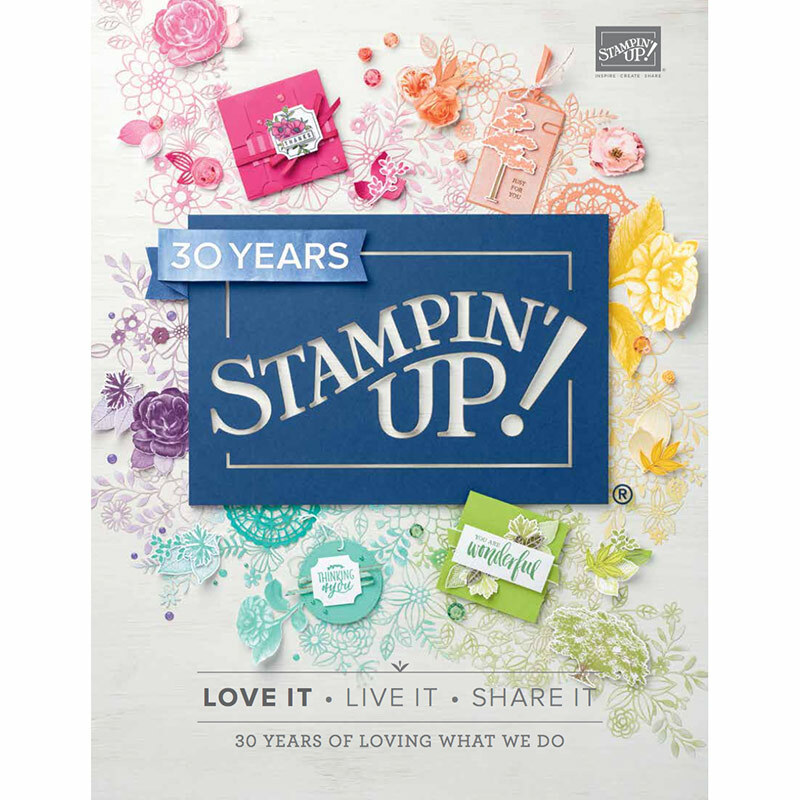 I used the Sweet Sorbet DSP and the coordinating Petal Parade Stamp set which you can choose to receive free with any $180 order. Or if you only want one of these items free, you only need to spend $90 during Sale-a-bration, which ends on 31 March! Be sure to visit my online store for more details. 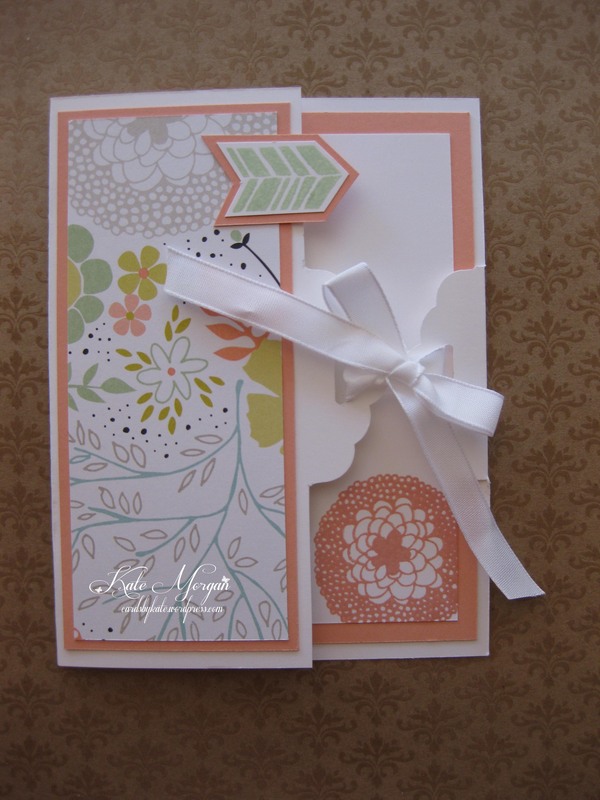 This is such a nifty card style that could be used for any type of occasion.